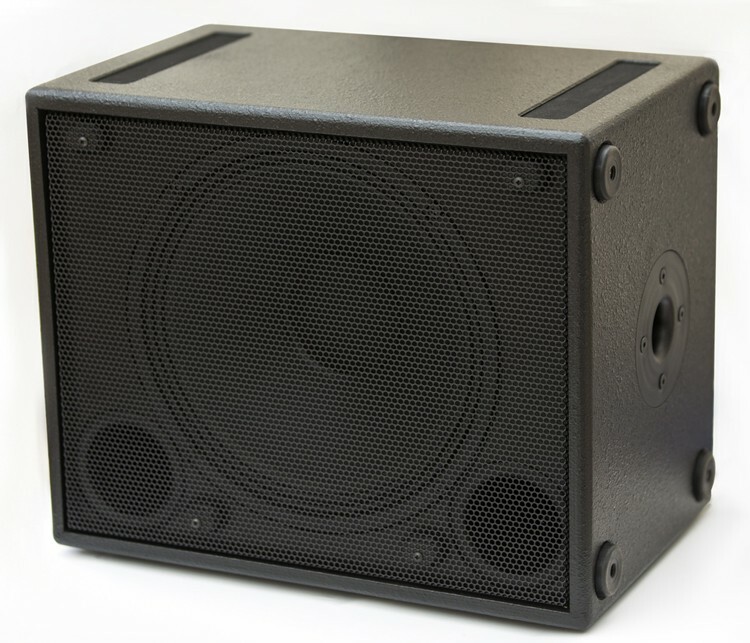 A 12" co-axial speaker in 1x12 cab format designed to meet the needs of guitarists for a lightweight, affordable solution. Designed for those guitarists wanting a more traditional looking cabinet as part of their backline the Q12 series combines high build quality, light weight and exceptional portability in a 1x12 style guitar cab whilst providing a transparent sound, allowing guitar players who need a FRFR system to reproduce on stage the sounds created on studio monitors and headphones at home, without colouration from the speaker. Utilising the same full range coaxial driver used in our popular CFR12 wedge, the Q12 gives a wide field of sound, with plenty of bottom end oomphf, usually only found in bigger cabs, all coupled with great power handling at 260 Watts RMS with a rating of 8 ohms. The Q12 can be powered using the linked output from an active Q12a, or the class A/B amps already available within our range, or another amp of your choice. Connections: Single 1/4" Jack / Dual Speakon (r) combination connectors.